The marvelous diversity of life—from pronghorns to pandas—reveals something, but what? Each organism has a unique combination of traits perfectly suited for its needs. It appears that the complex, all-wise, triune Creator left His mark in every thread in the tapestry of creation. When George Shaw, the British Museum curator, saw the animal pelt lying before him, he had trouble believing it was not a hoax. It looked like a variety of parts taken from different animals and sewn together. Before the end of the eighteenth century, no European biologist had ever seen a mammal with a duck-like bill. Interest in the platypus (a unique animal from Australia) grew when people realized that, of the thousands of mammal species in the world, only it (and the echidna) laid eggs! The platypus has a fascinating and unique combination of characters. Similarly, the pronghorn might be seen as just another fleet-footed, magnificently beautiful deer, if not for its “prongs.” Like deer antlers, the prongs are branched (in males), and they shed and regrow every year. But like horns on cattle, the prongs are made out of a different substance, similar to our fingernails (keratin), which grows on a bony core. So the pronghorn has antler characteristics like the scores of species in the deer family but horn characteristics like the scores of species in the cattle-antelope family. How then should it be classified? Its combination of traits makes the pronghorn altogether unique. 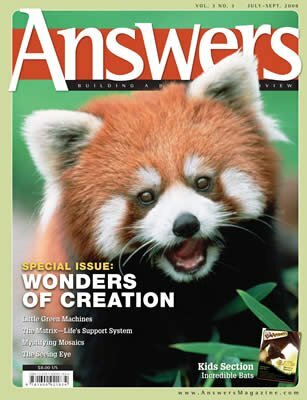 The red panda is another example. Because it is cute, nonaggressive, and easy to care for, the red panda is popular in our zoos. But the unassuming creature is a bit baffling to scientists who classify animals. Its ringed tail and “masked” eyes make some people think it must be a type of raccoon. And, sure enough, some experts want to classify it that way. But other characteristics suggest that it should be grouped with the bears. The platypus, the pronghorn, and the red panda are just three examples of animals that possess a mosaic of traits we wouldn’t expect to find together in one animal. Mosaic animals defy classification into just one group with which they share some traits, so scientists often classify mosaics into groups of their own. Among plants, gnetophytes share traits with gymnosperms and angiosperms. Dinoflagellates share traits with both plants and animals. Blindskinks share traits with snakes and worm lizards. Therizinosaur dinosaurs have hips like birds, but they share other traits with the lizard-hipped sauropods and theropods. The hoatzin bird shares traits with several different bird orders. My personal favorites are the arthropod fossils of the Burgess Shale of the Rocky Mountains. Arthropod bodies generally have two or more main body segments with an assortment of appendages attached to the segments. As Stephen Jay Gould described them in Wonderful Life, it was as if their parts were strung together by what Gould called the “Great Token-Stringer.” Reaching into a barrel of different arthropod heads, another barrel of thoraxes, and other barrels with abdomens and legs, the Token-Stringer seemingly “strung” the parts together in random sequence. Upon completion, in the words of Gould, “Voilà, it works.” The Burgess arthropods are bizarre mosaics. So, in nature we find many strange creatures—arthropods strung together like a necklace, a panda’s “thumb” jimmied from a wrist bone, and a platypus sewn together from body parts like a hoax. These images don’t evoke design. At least, that was Gould’s argument in a book about the clumsy appearance of the panda’s thumb. However, a closer look at mosaics suggests otherwise. The panda’s thumb, for example, turns out to allow greater clamping precision than is possible with our thumbs. Similarly, the platypus bill is remarkably designed to detect electric fields of the animals it eats. Likewise the pronghorn, which is in the running for the title of “fastest land animal on the planet,” is hardly an example of poor design. We might think a mosaic combination of features could only result in clumsy design, but mosaic organisms show otherwise. Mosaics are evidence of creation by the wise God of Scripture, who has a purpose for everything. 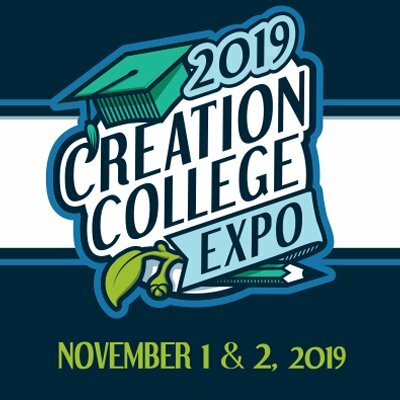 On God’s magnificent easel of creation, He spoke into being one grand, magnificent mosaic that incorporated a diverse array of distinct organisms. I suggest that mosaics are actually a common feature of God’s world, by design. On God’s magnificent easel of creation, He spoke into being one grand, magnificent mosaic that incorporated a diverse array of distinct organisms. If you could plot all the distinct created “kinds” of organisms on a graph, based on their features, you would see that God filled the graph with a tapestry of distinct kinds. Between these different kinds God scattered mosaics.1 For instance, between deer and antelope kinds He put pronghorns; between raccoon and bear kinds He put pandas; and so it goes. All examples of evolutionary links that have ever been claimed, such as australopithecines (between tree-dwelling apes and earth-dwelling humans), archaeocetes (between quadrupeds and modern whales), mammal-like reptiles (between reptiles and mammals), Archaeopteryx (between reptiles and birds), and Tiktaalik and Acanthostega (between fish and amphibians) are, in fact, mosaics, not links. Despite claims to the contrary, these mosaics have always been challenging for evolution. Think about it. The traits that make them a mosaic are fully developed characteristics of the other groups. They are not the partially developed, intermediate traits that evolution intuitively would expect. It is impossible for an evolutionary biologist to explain how the fully developed traits of “curious mosaics” (as Stephen Jay Gould once called Archaeopteryx) could have come to be. Furthermore, evolutionists are only interested in the mosaics that appear to link two other groups thought to be related by evolution. 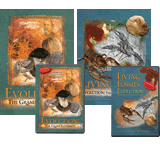 So they ignore most mosaics—both in the fossil record and in the present—because they are not between groups evolutionists ever thought to be related. For example, no one ever thought the duck-billed platypus was an evolutionary link between ducks and mammals. 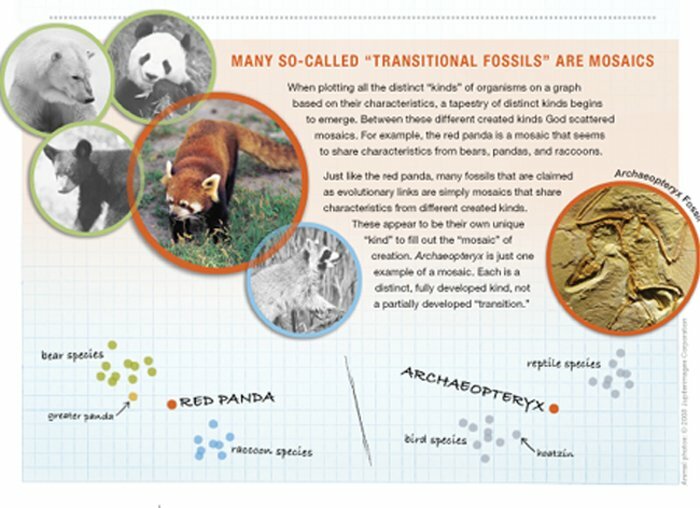 Similarly, no one ever claimed pronghorns and red pandas as evolutionary links. In fact, the vast percentage of mosaics has never been labeled as evolutionary links because they link the wrong organisms. So, on the one hand, evolution has far too few links. On the other hand, the world is full of links the evolutionist cannot use at all. It appears as though God intentionally created the world this way, to reinforce His unique role as the Author and Creator of the mosaic of life on this planet. Only when isolated mosaics are picked selectively out of context, while ignoring the difficulties of acquiring fully developed characteristics from scratch, can any mosaic be claimed as evidence of evolution. In contrast, when considered as a whole, mosaics are better understood as wonders in God’s tapestry of creation—evidence of a beautifully complex triune God, a God who is both three and one, both diverse and singular, both orderly and surprising. No one has ever systematically counted the mosaics in the world—living or fossil. I personally suspect that there is something on the order of one mosaic design for every character trait that distinguishes groups of organisms. This may result in at least one mosaic organism for every clearly defined group of organisms. We also don’t know at this point how many of the mosaics are separate created “kinds” and how many of them are part of the diversity that God placed within other created kinds. My suspicion is that most mosaics were programmed into the other clearly defined created kinds (so their existence would not significantly affect how many animals Adam named or how many animals Noah took onto the Ark). For example, the author has suggested that the Devonian fossils, which contain traits of both fish and amphibians (e.g., Tiktaalik and Acanthostega) lived before the Flood on the edge of a “floating forest” in an unusual environment that mixed characteristics from both ocean and forest environments (look for an article on “floating forests” in the next issue). For a short time after the Flood, land animals from the different pre-Flood environments were together in one place—on the Ark. As they spread out, mosaic animals would not necessarily settle near the other, similar animals that once lived near them. Nor would they find “intermediate environments” like the ones where they had lived before the Flood. This “haphazard” resettlement pattern would explain why many mosaic animals of the present—such as platypuses, pandas, and pronghorns—live in very different places from the animals that are most similar to them.